Baltimore’s # 1 Most Recommended Event DJ over 12 years running! DJ Doug Sandler simply stands apart from the pack with his hilarious rendition of SIMON SEZ and other fun crowd pleasers such as ‘grown-up’ ice breakers… everyone will be on the dance floor with DJ Doug. EMCEE (MC) to the Stars! Yes, our own DJ Doug has had the privilege to share the stage with Bob Barker! 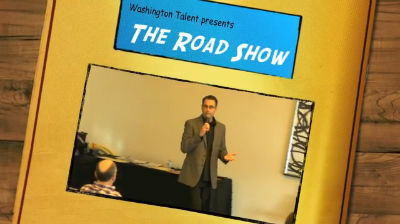 He is perfect for Game Show Mania, Minute to Win It and almost any other corporate incentive need when you’re looking for a talent on the microphone. DJ Doug. A bumper to bumper warranty for your perfect party. Thank you for your energy, creativity and work with our program. You are the highlight of our conference and a much needed break for fun and networking! I cannot imagine how we would get through it without you! Know that you are providing an opportunity for some great kids to really cement their friendships, that have just begun, across state lines and time zones! It helps tremendously to keep them connected to someone who experiences epilepsy as a peer and friend.